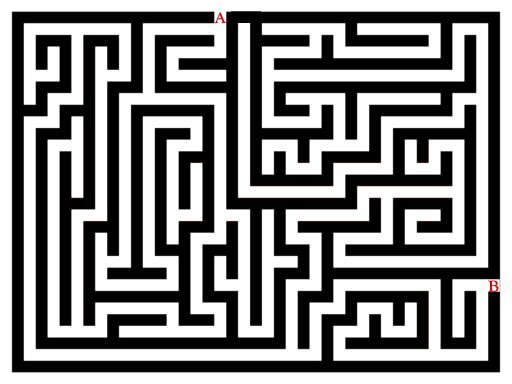 Earlier today, my wife, Ann, and I were eating at a restaurant and we watched a two-year old solve a maze like the one above, connecting point A with point B. She solved the maze in a couple of seconds, then moved on to the next activity on her placement. How did she do it so quickly? She simply connected point A and B with a straight line. The visceral reaction to this — “that’s cheating, it’s not how a maze should be solved” — is exactly the kind of reaction we have when the rules that we believe are constant suddenly change. We like to believe that the rules of the past remain immutable. A constant we can depend on. But they do change, and this is often how newcomers to a field are often able to pull off what the establishment couldn’t. Like the 2-year-old, they didn’t know you must not cross the lines when solving the maze and suddenly the game changes. Interestingly, the arguments made by the establishment when someone disrupts the game are the same as those who watch someone else solve a maze by simply drawing a straight line. The problem is that when rules change they don’t tell you that they have changed. They don’t stand up and scream to be heard; they simply no longer apply. It is only by reevaluating the rules that you discover their absence. So if you’re facing a difficult problem relationally or in your business and you can’t see an easy solution, is it because you are playing with rules that no longer exist? Are their rules that you depend on to keep your competitive edge? Are you sure they still apply?